A long time ago, I went to see a show of a local musician I tried to support. It was at The Evening Muse, my absolute favorite place to see music in Charlotte, a tiny, intimate venue that might hold 125 people when it’s busting at the seams. The opener clambered onto the stage, a kid of maybe 21 or 22 that might have weighed 100 pounds soaking wet. He had just an acoustic guitar and he looked so small, even on the miniscule Muse stage. Then he opened his mouth and started singing. Huge voice came out of that little body. He was probably about a song in when I turned to look at Annie and we both had the same expression on our face… WOW. And that is how my friendship with David McMillin began. If I could say one thing about David, just one, it would be that among the musicians I know, he is the one who loves songwriting the most. I mean he absolutely LOVES it. And he excels at it. He’s prolific, but I’ve never heard him put out a mediocre song. He and his band, Fort Frances, make amazing music together, and in the down times in between, when his band mates are tending to their personal lives, David writes more and pursues his solo work. It’s pretty inspiring to watch as a fan. 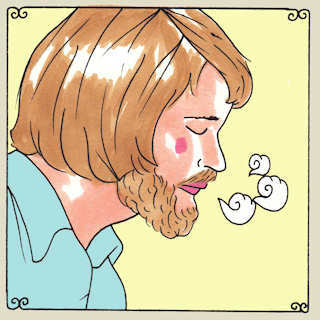 I’d recommend going to take a listen (if you are a Daytrotter member, you can download it…and if you aren’t a Daytrotter member, you should be). Let yourself be won over. Because if you love music, you can’t help but appreciate an artist who loves it even more than you do. 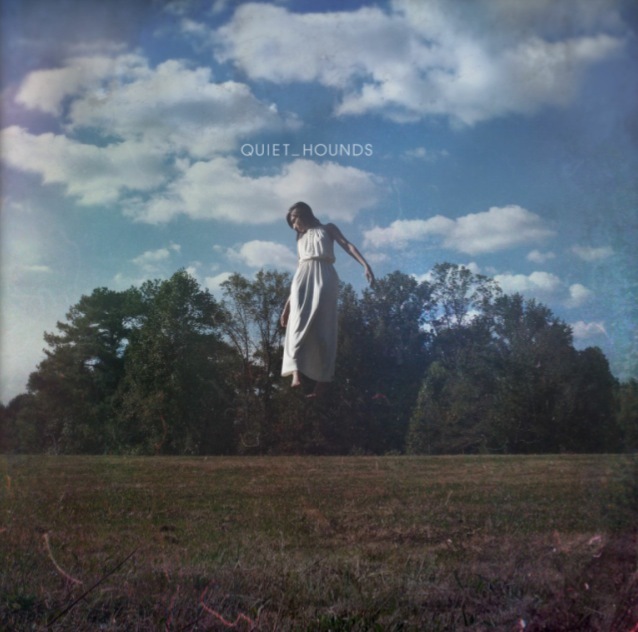 The Wild Hunt, the latest album from Atlanta’s brilliant Quiet Hounds, drops on August 9th. I am turning 40 next week. Amidst all this ruminating and nostalgia this week, the new Quiet Hounds album, The Wild Hunt, landed on my desk. My admiration for this band hasn’t been much of a secret; I’ve put their music on a bit of a pedestal. I have an insane amount of respect for the way they’ve struck out to create music that is a deep and reflective experience ­– to challenge the “accepted” way of doing things. They’ve been uncharacteristically quiet as of late, so when The Wild Hunt arrived this week, it was an unexpected surprise and I dove in with pretty high expectations. Personified in song and otherworldly experiences. The Quiet Hounds find themselves amongst the souls, the embers, the lights of a new journey. A seekers chase, a race to find the questions and to build the answers. The past, the future, the present. They all have their role. A story of hardship, of life and of love. The weary traveler’s tale can only be sung. Though the cities have yearned, the path has been long and the wanderer takes on a life of his own. So listen close for his language is old but his message is burned into the deepest of souls. May you smile or may you cry, be you lifted by the light, share this tale with all kin in sight. At 33 minutes, it is the longest of the three QH albums. There are nine tracks in total, and eight full-length songs, making it the deepest dive the band has taken to date. That’s not the only difference fans will notice. These songs seem decidedly more personal; while the lyrical poetry that is a QH hallmark is still at play, the fantastical and historical elements that peppered earlier songs are toned down in The Wild Hunt. Instead of an exotic adventure through lands foreign to us, this record is much more of an emotional journey ­­– and if you’ll forgive the metaphor, a lot like real life. The album begins with an outtake from a later track, and then kicks off hot and heavy with “Good Bones,” a youthful, angsty, rebellious song loaded with clapping, buzzy bass, wicked drumming and cymbal smashes, and even a howling hound. “Wild Light” continues this theme of youth and adventure, of striking out to create yourself, no matter the risk. The horn arrangement that dominates the last minute of this song is pretty damn spectacular. The Wild Hunt reveals another dimension of this mysterious band of brothers, the next phase of the continuing evolution of Quiet Hounds. They’ve made an album that allows their audience to find a bit of themselves in every song. It’s that type of emotional connection that makes art the most meaningful, and that – at least for this fan ­– makes The Wild Hunt the best of what Quiet Hounds have created so far. And as for me, I’m feeling a little inspired. I’m thinking that 40 might be my best decade yet. The Wild Hunt will be released on August 9 to the public, coinciding with Quiet Hounds opening for Rodrigo y Gabriela at Chastain Park in Atlanta. For you vinyl enthusiasts, the album was also recently cut in Nashville, so expect an actual record to be available within the next few months.